August 30th, 2018, Nairobi, Kenya – The Legatum Center for Development and Entrepreneurship at the Massachusetts Institute of Technology (MIT), with support from the Mastercard Foundation, has named South African startup Wala as the grand prize winner of the 2018 Zambezi Prize for Innovation in Financial Inclusion. 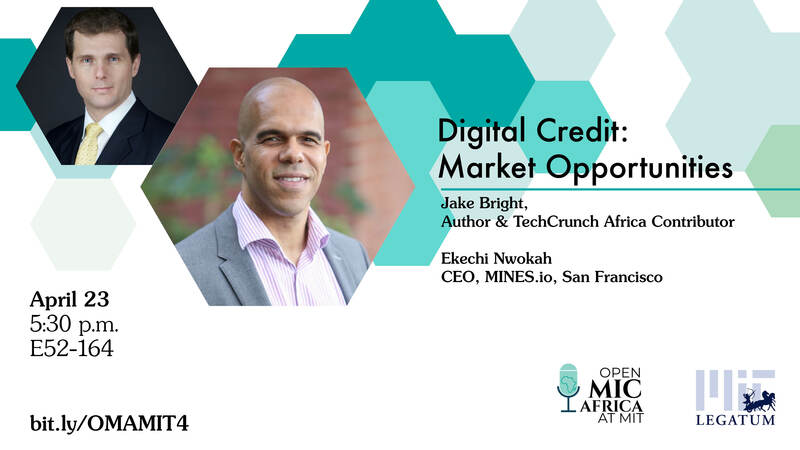 The announcement came during the Open Mic Africa Summit in Nairobi on August 29th, 2018. Wala is a mobile financial platform geared toward consumers operating outside the formal financial system. Using a blockchain system, it enables zero-fee, instant, borderless micro-payments for emerging market consumers. Through the Wala platform, users receive a cryptocurrency wallet and can access transactional banking, remittances, loans, and insurance. 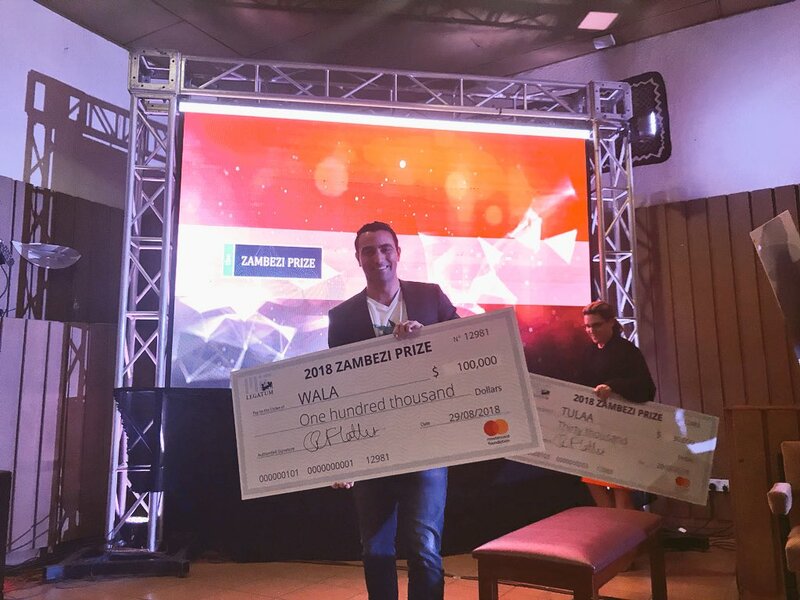 Wala was chosen from among 10 finalists for the Zambezi Prize. All of them joined leaders from the MIT and African tech ecosystems for the 2018 MIT Open Mic Africa Summit at Strathmore University in Nairobi. The Summit, featuring cohort-building, panel discussions, and MIT hackathon exercises, culminated in the announcement of Wala as the US$100,000 grand prize winner. Tulaa (Kenya) and RecyclePoints (Nigeria) each won US$30,000 as runners-up. The seven remaining finalists won US$5,000 each. They are Apollo Agriculture (Kenya), Bidhaa Sasa (Kenya), FarmDrive (Kenya), Farmerline (Ghana), LanteOTC (South Africa), MaTontine (Senegal), and OZÉ (Ghana). An additional US$5,000 will be awarded to an African entrepreneur — to be named later this year — who has demonstrated great leadership in unifying Africa’s tech ecosystem. All 10 Prize finalists will attend the Zambezi boot camp on the MIT campus during the MIT Inclusive Innovation Challenge (IIC) gala in Boston on November 5-9. As the Zambezi Prize winner, Wala also won the IIC Africa Prize in the Financial Inclusion category. The startup will join the three other winners of the IIC Africa Prize, to represent Africa at the IIC global tournament which awards over $1 million in prizes. The IIC event is part of the MIT Initiative on the Digital Economy and, along with the MIT Legatum Center’s initiatives, exemplifies MIT’s global commitment to the future of work. Past Zambezi finalists include Kifiya, PlusPeople, MFS Africa, Tugende, Chamasoft, Nomanini, First Access, AgriLife, M-Changa, and mJara. Several attended this year’s Open Mic Africa Summit to engage with the new cohort. Ali Diallo, Global Programs Manager at the MIT Legatum Center, emphasized the scale of collaboration necessary to execute initiatives like Open Mic Africa and the Zambezi Prize. “We’re especially grateful to the Zambezi Prize Board, our global ecosystem collaborators, and the 40 African tech leaders who served as Zambezi judges and whose dedication to entrepreneurship and financial inclusion helped us discover this new generation of innovators”. For more information on the Zambezi Prize and on the 2018 Open Mic Africa Summit in Nairobi, visit http://www.zambezi.mit.edu/ or contact the MIT Legatum Center at info@zambezi.mit.edu. The Legatum Center was founded on the belief that entrepreneurs and their market-driven solutions are critical to tackling the world’s greatest challenges and driving global prosperity. Based at MIT Sloan School of Management, the Center leverages expertise and research across campus to equip future leaders with the skills, values, and critical thinking they need to succeed as entrepreneurial change agents. 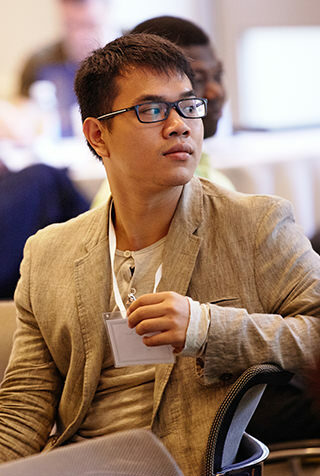 The Center’s capstone initiative is the Legatum Fellowship Program which provides aspiring entrepreneurs with a world-class education and substantial tuition support. The Legatum Center also conducts a set of global activities to strengthen pathways between MIT and leaders of change in frontier markets. To learn more, please visit legatum.mit.edu or follow on Twitter @MITLegatum.